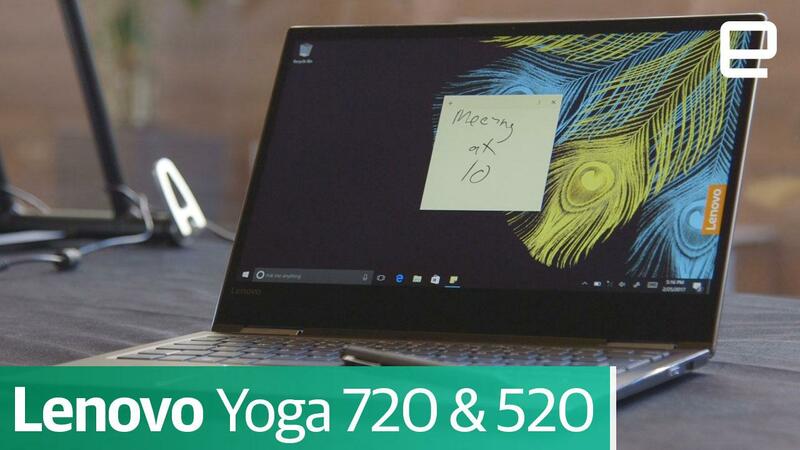 The Yoga 720 may be the speediest convertible in its category. With most 2-in-1 laptops, you're giving up any hope of running games or other graphics-intensive apps -- if there are dedicated graphics at all, they're usually too slow for more than the basics. Lenovo thinks it can do better. It's unveiling the Yoga 720, and its 15-inch variant is supposedly the most powerful convertible in its class. Max it out and you can get a 4K display, a 7th-generation Core i7 processor and (most importantly) GeForce GTX 1050 graphics. It's still not a powerhouse, but it's uncommonly gaming-friendly for a PC that can double as a tablet. 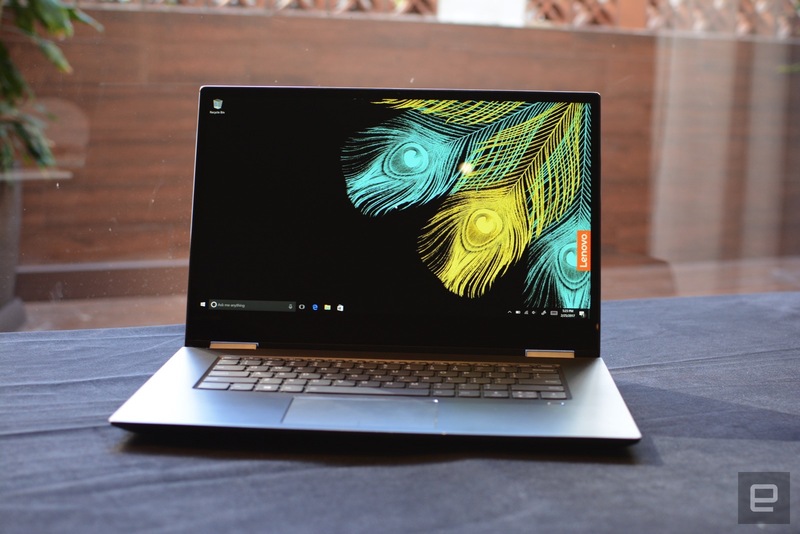 The system also touts Thunderbolt 3, up to 16GB of RAM, a 1TB hard drive (or 512GB SSD), a 9-hour peak battery life (8 hours with 4K) and the option of an active stylus. And if that's overkill, there's a smaller 13-inch version with integrated graphics, SSD-only storage and an 8-hour battery. Both models are due in April, starting at $860 for the 13-inch system (with a 1080p screen) and $1,100 for the brawnier 15-inch rig. Lenovo is also introducing a middle child of sorts. The Flex 5 (Yoga 520 outside the US) splits the size difference at 14 inches, and can ship with GeForce 940MX graphics if you need a little more visual prowess than Intel's built-in solution. You're stuck with a 1080p screen, but this is the longevity champ of the three with a 10-hour battery pack. It's the more affordable of the bunch, too, starting at $800 when it ships in May.